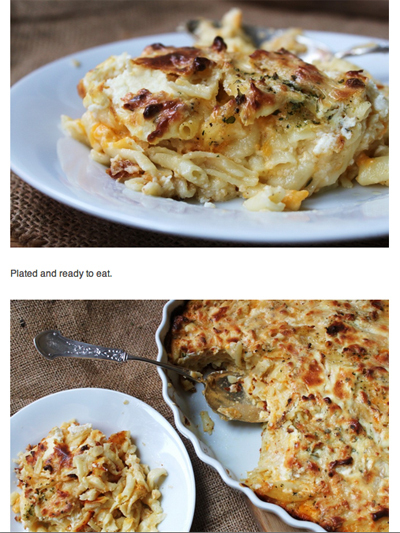 A while back I found this fantastic looking baked mac & cheese by Jessica Burns that uses cream cheese over a traditional bechamel sauce, and my brain woke up. So, yeah. I’m going to give this a whirl this week. Will you? Head on over the Jessic’s blog for the recipe and ingredient listing. This entry was posted in Main Meals by stacey. Bookmark the permalink.